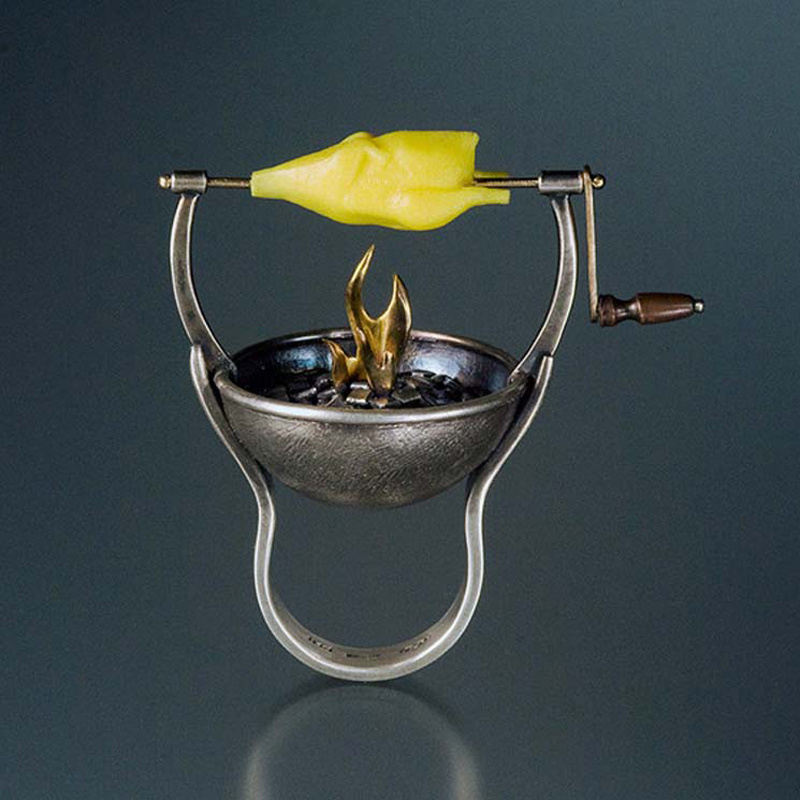 Metalsmith, educator, and writer Andy Cooperman works from his Seattle studio where he builds jewelry and objects for exhibitions and private clients. 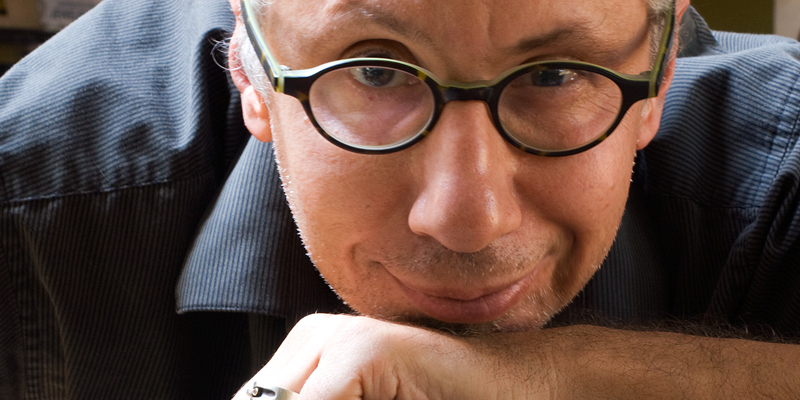 His work and writing has appeared in blogs, magazines and books, and is held in private and public collections, such as the Victoria and Albert Museum, Central College in Pella Iowa, and the Tacoma Art Museum. In the interview below, Andy shares with us his metalsmithing process and advice on being a jewelry artist. 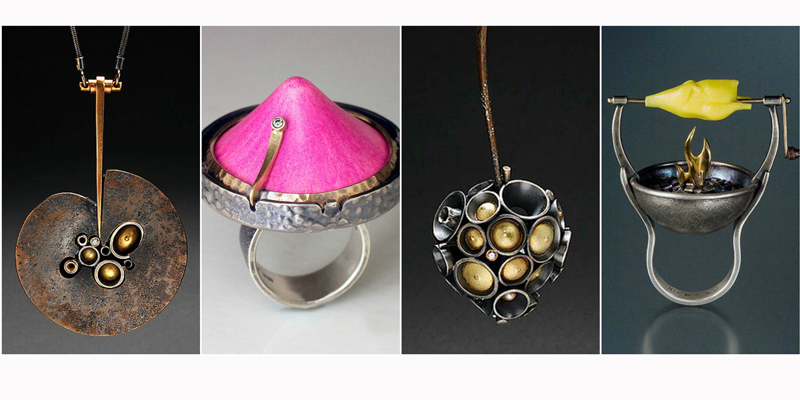 A: I am a mid-career metalsmith who makes jewelry, sculpture, and small objects for exhibition and for sale to clients and collectors. My material tastes are broad and include glass, wood, natural materials such as bone and shell, plastics—including pingpong balls and small rubber chickens—along with bronze, steel, sterling, and karat golds. 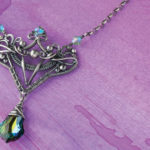 A large portion of my jewelry work is custom and commission. 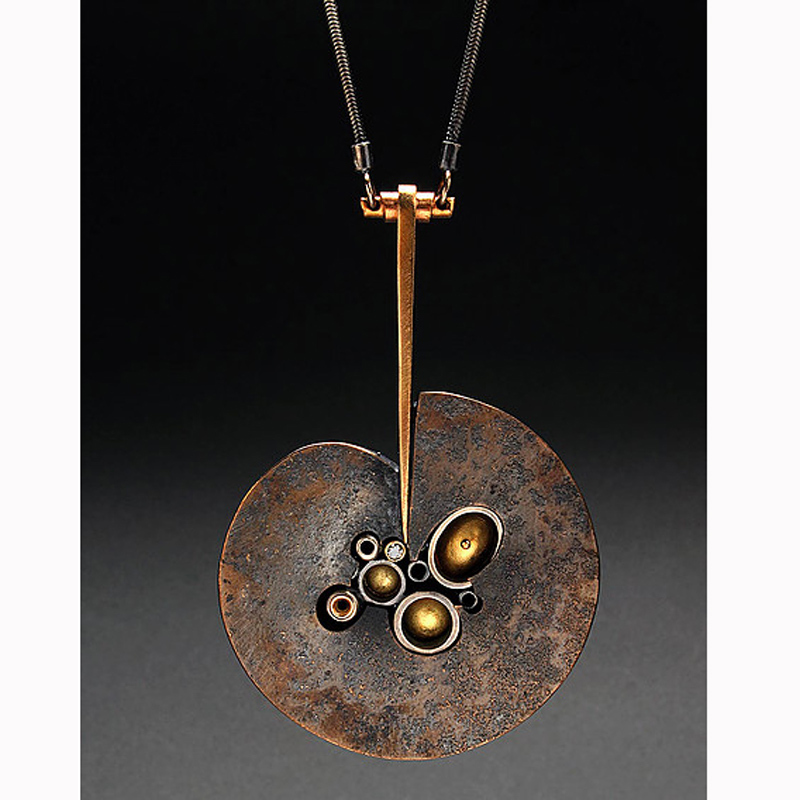 I also teach metalsmithing, as a workshop and seminar instructor and as a visiting artist at universities, schools, and art centers. A: I am a maker. And I make for a variety of reasons. I believe that making is hardwired into us as a species. In some of us, it is dormant or latent. But for me it is a basic need. Manifesting an idea in a concrete and tangible object is a powerful thing. Besides, I’m curious and I always want to see what’s around the corner. Q: What would you consider your specialty as far as your process goes? A: My approach to nontraditional materials. I am also fairly fearless with heat and fire, pushing materials, especially metals, to just short of their failure point. That is the sweet spot. I also take pride in being a problem solver, being able to figure things out or apply one thing as widely as I can. This is certainly my approach with tools, especially the flex shaft machine (a tool that I made a video about for Interweave). Q: Could you describe a real life experience that inspired you? A: Years ago I was teaching a jewelry and metals class at the University of Washington. Projects were due the next day and students were scrambling to get it done. One student was building a brooch, an amazing piece involving the incorporation of a medium sized sea urchin shell. Very fragile, to say the least. As I was leaving for the day (actually the evening), I reminded her to test the brooch findings before she set the shell. This way, she could easily address any weak joints. Well, she successfully set the shell and, of course, was attaching the steel pinstem afterwards when the joint failed. I got the email around 11pm asking whether she could just glue the finding back in place. I responded that she could but the piece would suffer, as would her grade: the A would become a B-. When I walked in the next morning, I was fully expecting to see a brooch embedded in a large ball of epoxy. Bleary eyed, she handed me a complete, beautiful, and beautifully made piece. She had set the shell and then unset the shell and then reset it again. It was amazing that the shell survived the first setting, nevermind the rest. I was impressed and inspired by her commitment to get it right (with a little prodding). Q: What is your favorite part of your work and why? A: The beginning and the middle. Those places are full of potential. I also love to forge. I mostly forge and fabricate, even things that I used to cast. Q: Can you please describe what failure means to you? A: Failure is everything. Failure is the key to creativity. If I’m not at some point failing, then maybe I’m not trying hard enough. This includes making, applying for opportunities such as exhibitions and competitions, and pushing myself in new directions. Play is the active part of failure. My wife taught me this acronym: Fail= First Attempts In Learning. A: I’ve actually written a short essay on this. In a nutshell: Success means being able to make things of integrity and merit and support myself doing so. But as I get older, I think that there’s more to it. I would add that success now includes the legacy of my metalsmithing work and my creative thinking. The impact that I hope I have had as a maker, a writer, a teacher, and an uncle. Q: What is something we may not know about you? A: I really love anchovies. But I consider egg salad to be vile and poisonous, ditto hard-boiled and deviled eggs. But I love omelets, scrambles, and eggs over easy. I also majored in English (along with studio art) and minored in Creative Writing. Q: What is the best piece of advice someone has ever given you? A: Embrace failure. Reframe and maybe redefine it. Failure is just a (sometimes unpleasant) step in the road. And always leave the table with a smile when you are shooting pool. Q: What career project do you consider your biggest accomplishment to date? A: I just completed a large body of work for a biennial exhibition at the Bellevue Arts Museum here in the Seattle area. The exhibition has run for three months. I also have a piece in the Victoria and Albert Museum. But maybe the biggest accomplishment is somehow building a sustainable career in the difficult field of metalsmithing. Q: What is one key thing you do every workday that helps you be successful? A: I go to the gym. 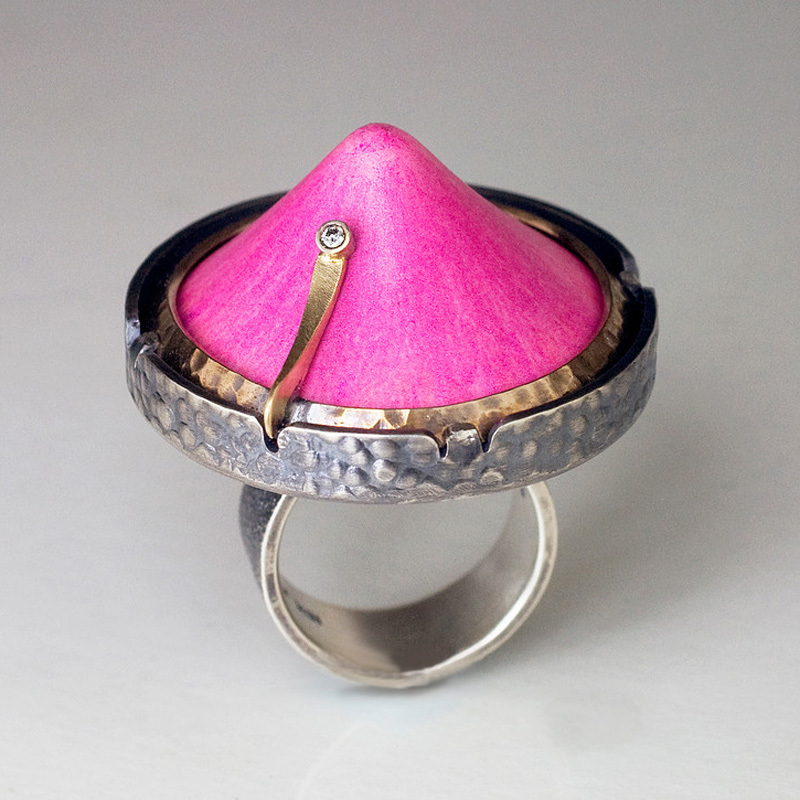 Q: What were some of the unexpected hurdles in your career as a jewelry artist? 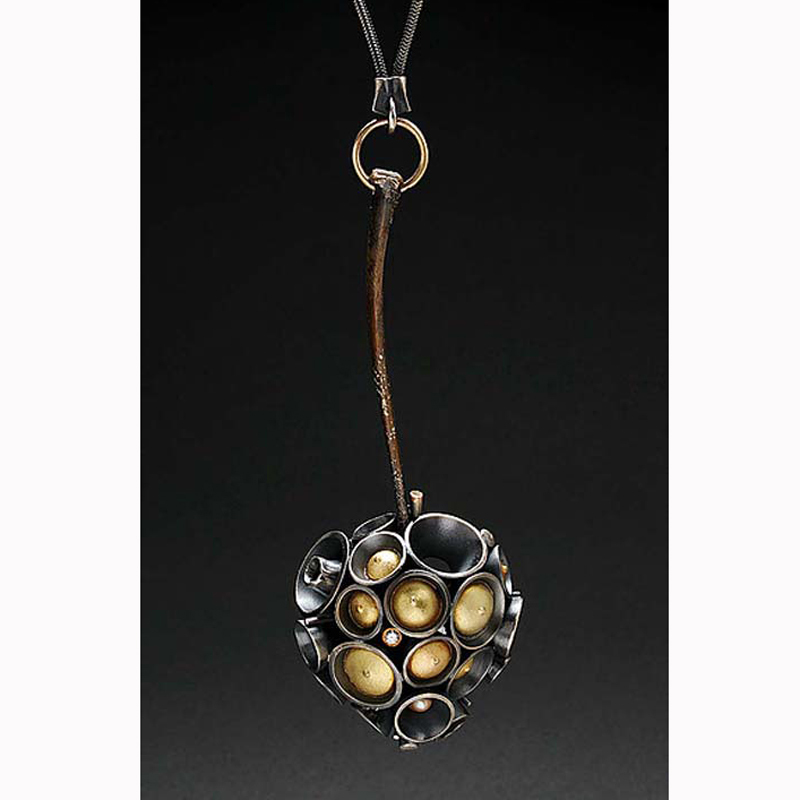 Q: What were some of the unexpected benefits in your career as jewelry artist? A: The people that we’ve (both myself and my wife Kim) met. I would also add that jewelry making and metalsmithing are disciplines that require and teach patience and humility. Q: What valuable piece of advice can you give to our readers that are aspiring to make a living from metalsmithing? A: Please don’t forget to play. It is crucial. And learn how to be flexible. The sweet spot moves, depending on the task. A custom job involving an heirloom stone requires that I lean more towards the first. Developing new ideas and new work means that I am hard up against the second. It is liberating. Photos courtesy of Andy Cooperman. Master metalsmithing and using a flex shaft with Andy’s help!